Instead of holing up in an uncomfortable and impersonal hotel on your next vacation, why not build a log cabin that can serve as your hidden oasis? A vacation home gives you the opportunity to leave your normal life behind and find the reprieve you need. With a pre-fabricated cabin that is always available for you, you can actually start to enjoy your vacations. Think of how lovely it will be to escape to your pine cabin just in time for the holidays. Whether you want to escape to celebrate with your family for New Year’s Eve or enjoy the traditions of Easter, the cabin will be the perfect location. When you have your own vacation home, you can always take the time to breathe. It is easy to get caught up in the massive to-do lists in your regular life. If you have a place where you can slip away from the city to relax , you might actually find the time to do it. Build a comfortable wood home where you can go to recharge your system when you need some time away. 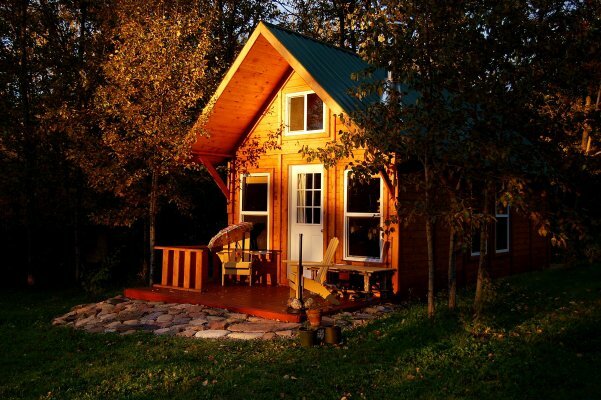 Knotty Pine Cabins can build you the cabin of your dreams. Our pre-fabricated homes and cottage packages allow you to enjoy a much-needed break from the fast-paced world. Whether you want to use it as a vacation home or your year-round residence, this cabin will become your favourite spot. Visit our website or call (780) 484-2224 to get started.